Drag and drop the wires, cell and 24 Ohm resistors into the empty slots. Double-tap to rotate the component. Analyze the circuit to get the effective resistance. This is a simulation of a simple direct current (D.C.) circuit. 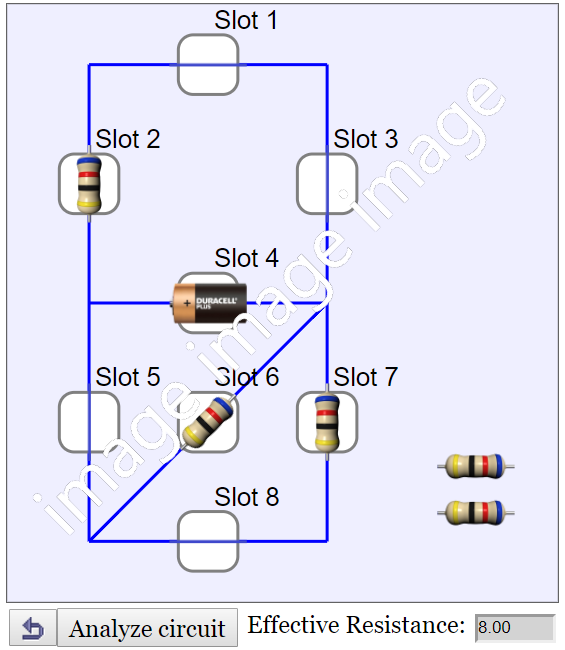 By putting wires and resistors at the slots, the effective resistance of the circuit can be analysed and calculated. 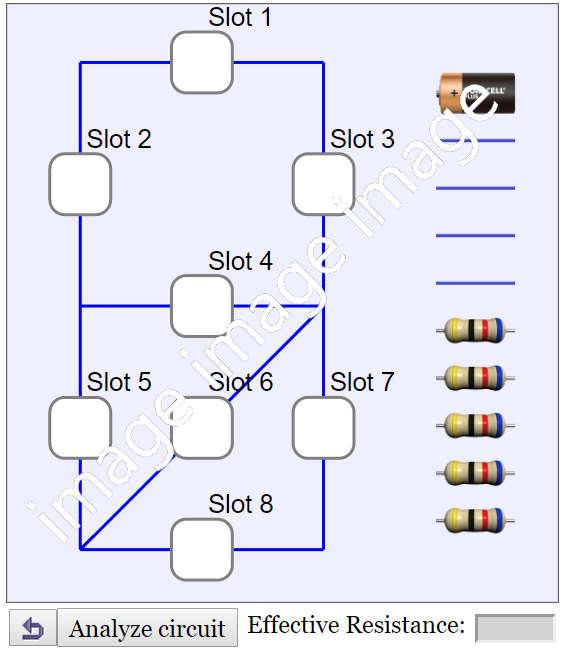 There are a total of 8 slots to be connected with a choice of 10 components including one battery, four wires and five resistors. The resistance in the battery and the wires is assumed to be zero ohm. In order to connect the components correctly, double-tap a component to change its orientation. Each double-tap will rotate the component 45 degree counterclockwise. A component's orentation affects its connection with the rest of the circuit. student believe that current is “used up” in a circuit, when in fact it is the electric potential that causes the flow of electrons, where electrons is always present in the wires. 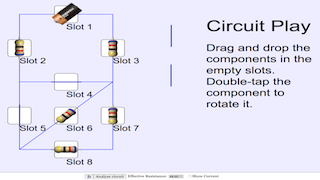 student believe the current through a battery will always have the same value, regardless of the number or configuration (series or parallel) of components in the circuit, when in fact current can vary according to the circuit connections. Students referred to current, voltage, energy, and power inappropriately and sometimes interchangeably.